Stained glass has a long history of being featured in houses of worship, dating as far back as the 1st century A.D. The term usually refers to works created from colored glass that have been used in windows of churches and other important buildings. Over time, the architecture of stained glass has changed from the traditional flat panels you might see in a church window to a three dimensional structure or sculpture. Since ancient times, civilizations have been creating stained glass. Stained glass windows have been found in Christian churches dating back to the 4th and 5th centuries, and in Britain, the first reference to stained glass came in 675, when Benedict Biscop brought workers to glaze the windows of the Monastery of St. Peter at Monkwearmouth as it was constructed. In the middle ages, the stained glass windows found in churches and religious buildings served a purpose greater than just beautifying the space- these windows were used to tell the stories of the Bible to a population that was largely illiterate. Stained glass in the Romanesque style was in demand in the 9th and 10th centuries after Constantine allowed Christians to worship openly. These windows often showed individual figures and were relatively small. The predominant colors were red and blue, surrounded by white glass. Later, in the 13th and 14th centuries, stained glass flourished as windows in Gothic cathedrals got much larger than the churches of the past. Because the windows were designed to be larger, the images began to tell a story, designed in sequence. As time moved on, stronger jewel-toned colors and depictions of moralizing images became popular.  The creation of moralizing images became especially important during the Reformation, when the creation of religious images brought penalties. There are two ways to create stained glass. The first method brings the coloring in stained glass as a step in the manufacturing process; the creators add metallic salts to the molten glass before shaping it into sheets or blowing the glass into decorative sculptures. The second method involves a special type of paint. Stained glass artists may also use a vitreous paint that contains bits of ground up glass to color sheets of clear glass. When heated, the paint breaks down and shows the beautiful colors. To create a stained glass window with multiple colors, artists first create their design and a pattern to use before cutting the glass sheets by hand to fit into the desired pattern. Next, they will use paint to color the pieces of their design and kiln fire it to bring out the colors in the paint. To assemble the finished product, artists assemble each piece in the pattern they’ve chosen and apply a leading or foil between each one, especially at the joints. Then the leading is soldered to hold it all together, especially at the joints. Once the piece has cooled, the assembled window is puttied, dried and polished. This is an oversimplification of the stained glass (installation) making process, but we hope you get an idea of the procedure. It is a time-consuming processing and requires a lot of attention, but with all things, the enjoyment from the process and the satisfaction from completion surpasses everything. Each new project is an exciting challenge. With the guides available on the internet and the stained glass schools around the world, the skills necessary to learn to make stained glass art are a lot more accessible than before. We are not experts in the art of stained glass, but we are experts in the travel industry. If you desire to go on a tour and stop at specific locations to see famous stained glass windows, we're here for you. Just click the link to contact Gil Travel and one of our expert agents will be in contact with you shortly. Do you like stained glass? We would like to share this collection of lesser known stained glass windows around the world that we've compiled. 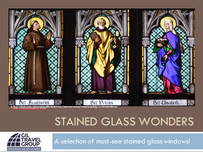 Click the image below to access the "Stained Glass Wonders" pdf.